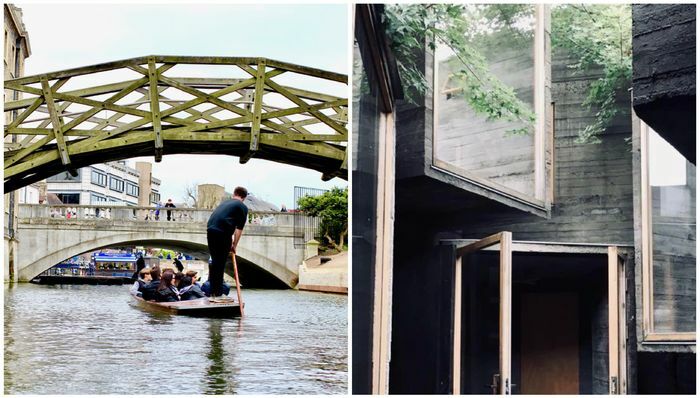 Every day, people attempt to capture Cambridge through a camera lens. Hordes of tourists. Students capturing moments to remember. The city’s beauty gets in the way. So much of Cambridge is grand and picturesque, often at odds with how it feels like living here. The best parts of Cambridge often aren’t picture perfect, and the daily reality is far from it. Photographing it truthfully means facing a struggle of trying to see past its wonder, ditching the easy narratives of its grandeur, glitz and quirks, and finding that in a single snapshot. Photographer Domininkas Zalys is trying to do just that. “What you do is,” he reaches for his phone and holds it in front of him, then says, “pretend that you’re taking a selfie. The most innocent thing in the world is a phone. People will never realise. I start my last year here this week. And like many others, the time has slipped between my fingers. There’s so much to preserve — in the three, four or more years we’re here, we see the city through a lens we never will again. Already, walking through Cambridge, I notice that familiar sights are tinged with impending finality. When I return to the city in a few years' time, feelings of possibility will be replaced by a sense of time having passed and all that transpired here gone with it. More than ever I want to collect memories, to take pictures which get to the heart of Cambridge, here and now. Zalys will continue to photograph the chapel and its passerbys until he leaves Cambridge in two years, graduating from Anglia Ruskin. After this he’ll move on to New York to pursue fashion photography. He hopes someone else will continue what he’s started. “Everyone sees things differently. I want to see what other people would capture, what other people notice, but having this in the background,” he tells me. The city is incessantly gorgeous, but many sights mean more than they appear to at first. The gown store on the corner, glowing through the night. The stack of tattered hardbacks beside the Mac. The bicycle on King’s Parade riding toward a slow sunset. The city just past six in the summer, golden. We all grapple with the disconnect between Cambridge’s perception and our lived experiences of it. The city commands a superficiality. It compels people not to peer beneath its surface. Cambridge in the popular perception and through history is a fiction — simple, homogenous and picture perfect.